In Lassar Village, you can find a mysterious cave. The name is Nek Santen Cave. It belongs to Membalong District, Belitung. Due to its strategic location, many hikers stop by during their adventure in Kubing Mountain. The cave is named after a lost old lady in the forest. In the cave, you can find thousands of bats. In the past, the cave also became a hideout for villagers. These people hid from raiders’ attacks. Thanks to its structures and excellent features. The cave size isn’t quite big. On the mouth of the cave, you can find vines. They make a shady and natural atmosphere. Once you enter the cave, you may see several stones on the floor. The wall of the cave is covered by moss and rocky surface. Since it is a secluded area, you won’t expect many people. Unless you come together in a group, it will be a lonely vacation. Not to mention there are no facilities nearby. Thus, it is important to carry refreshments. 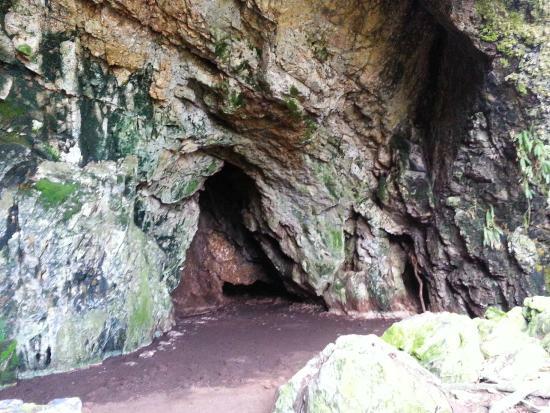 This cave provides a distinct adventure for tourists. Regardless of the experience, you can explore and get in the cave. The thing is you may expect confinement and darkness. It seems the earth is talking to you. This sensation isn’t common, so you must be prepared. The structure of the cave definitely amazes you. It has a complex design and unique features. For beginners, it is better to stay near to the cave mouth. Without proper equipment, it will become a risky adventure. If you come with your group, it is safer. That means you can walk around deeper into the cave. Proper gears and skills help you explore Nek Santen Cave safely. As mentioned earlier, it is the home of tons of bats. They are sleeping at noon. When the night comes near, these creatures may leave the cave for hunting foods. This phenomenon is definitely unique. If you come in the evening, you may require more items for sure. Due to this reason, a preparation becomes a priority. The cave is dark. It is a no brainer. Therefore, you must carry a flashlight. Make sure to bring extra batteries, though. Next, sturdy shoes are compulsory. The floor of the cave can be slippery, especially during rainy season. The water and mud make it more dangerous for careless people. As for the other protections, you must wear proper clothes like sleeves and long pants. In some occasions, gloves are recommended. These help you prevent getting bruises while exploring Nek Santen Cave. From Tanjung Pandan, you should head to Membalong District. It is through Membalong Raya Street. The trip is going to be smooth. It takes only 1 hour and 30 minutes. Your next destination is Lassar Village. From here, you need to go by foot. Trekking is the part of your trip. Thus, make sure you are in a good shape. If necessary, you should carry bottled water and snacks!